Nanos is a wonderful plateau with numerous well-arranged tarmac and unmade roads. You can walk from Podnanos on well laid out and marked footpaths. Two marked paths lead from the village; one of them passes the village of Poreč and the other goes through the village of Podbreg. Both paths pass sinkholes right up to the hunting lodge. From here you can decide to continue along a pleasant forest road and distinct grassy paths onto the Nanos plateau, up to the Museum or Vojkova koča, the mountain hut at 1,262 metres above sea level. You can cycle on a 10-km long tarmac road from the village of Podnanos to the hunting lodge. From there you can continue on an unmade forest road either towards the Abram farm or towards Vojkova koča (1, 262m). Next to the hut is the Nanos transmission site, which you can also visit if arranged in advance. Nanos is a very popular spot with cyclists. 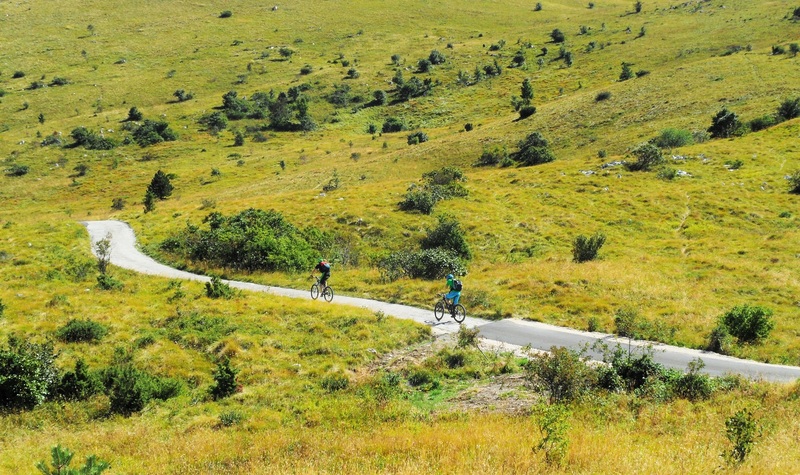 Getting to know the plateau is really interesting, since there is cycling on the slopes of the mountain for all abilities – everyone can find a suitable road. Those who don’t want to tackle the steep hills can choose to cycle on flat terrain. In fact, the forest roads are most suitable for mountain biking enthusiasts. 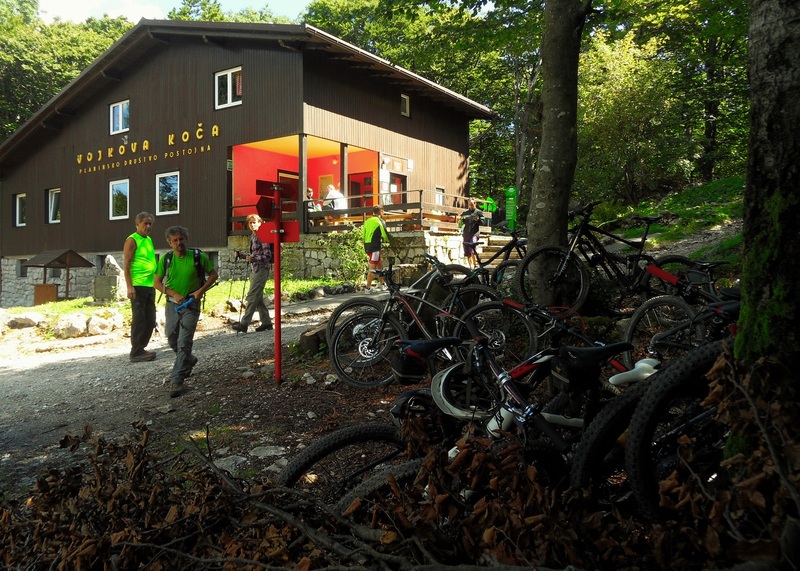 However, despite a lot of hairpin bends on the tarmac road, every active cyclist will enjoy it, passing the hunting lodge and continuing on a rough unmade road up to Vojkova koča. Hold out as far as your set goal, and then enjoy the adrenaline-filled downhill descent towards the valley! Road cyclists really like the “shadow” road from Podnanos to the hunting lodge. 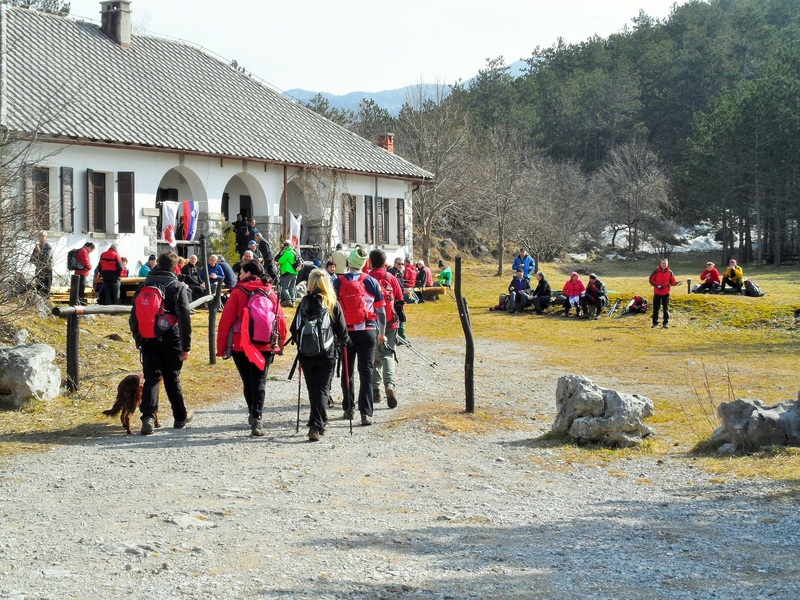 Many of them decide on a circular route, heading from Podnanos to the hunting lodge, passing the podraške bajte (stone huts), up to the Abram tourist farm. The return passes through the settlements of Sanabor, Vrhpolje and Vipava and on to the main road to Podnanos. 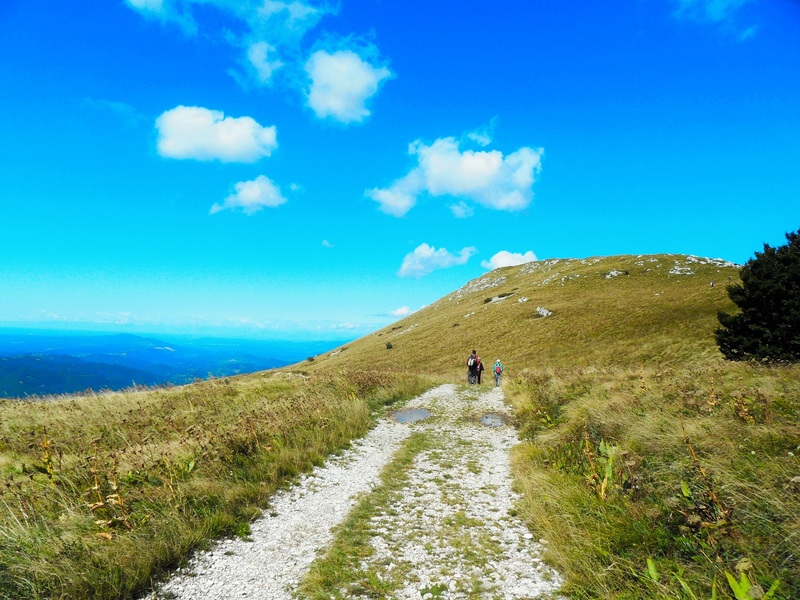 Even if your physical fitness isn’t that great, you can still cycle for a few kilometres on a pleasant unmade road on the Nanos plateau, from the Abram tourist farm to the signpost towards Vojkova koča. Nanos is a very interesting plateau with numerous slopes and tops to discover. 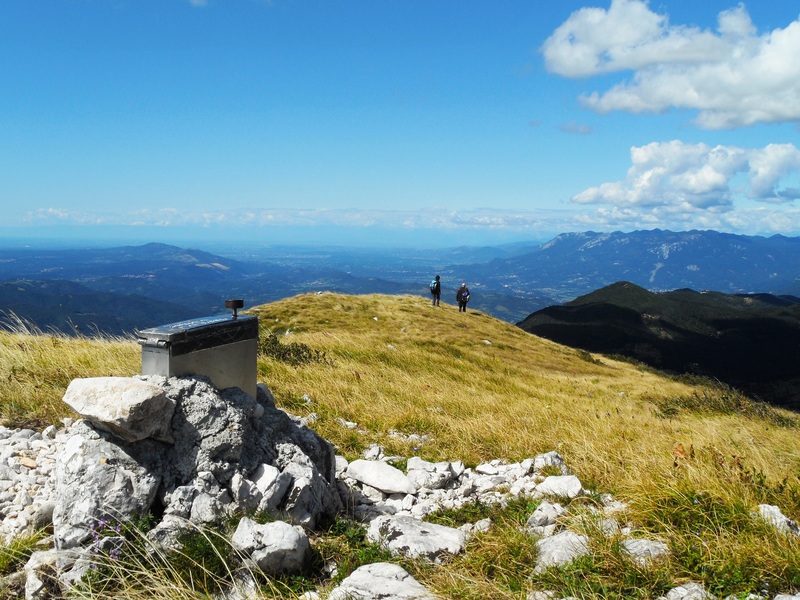 The highest peak is Suhi vrh (1,313m), from where you can enjoy a marvellous view of Snežnik, the Kamnik-Savinja Alps, the Karavanke and the Julian Alps. The most important excursion spot from a hiker’s point of view is Pleša (1,262m). The Nanos transmission site, with its Museum of Analogue Transmission Techniques, is located here, and directly below it is Vojkova koča. The mountain hut is open throughout the year; in the summer, it is open to visitors from Tuesday to Sunday, while in the winter, from Friday to Sunday. North-west of the Nanos transmission site there is another favourite mountain destination, called Grmada (1,209m). Mountaineers can record their ascent with the unique stamp and sign their names in the visitors’ book. There is a wonderful view from the slopes of the Nanos plateau. Directly below it is the church of St. Jerome. From there, you can also see the Vipava Valley, Golake and Čaven. When the weather is clear, the view extends as far as the Gulf of Trieste, the Julian Alps and the Dolomites. On the first Sunday in January, members of the local mountaineering association invite visitors to an event called Odkopljimo zaklad na Konju (Let’s dig treasure on Konj). Participants gather at Konj (a place on Nanos). Each person brings with them a few delicacies and a bottle of wine that they carefully bury in the ground, and the next year, they dig it up and toast the New Year with friends. In memory of our compatriot Janko Premrl-Vojko on the first Sunday in March an excursion on Vojko trails, Pohod po Vojkovih poteh, is organized. The tradition goes back to the year 1984. The excursion trail is circular; it starts in Podnanos, goes through the village of Poreče towards Konj, passing the house of the Strgarjevi family, up to the hunting lodge. When descending to the valley, people usually pass the chapel of St. Jerome and the sinkholes, going back to the village Podnanos. Each person decides for themselves the distance they are going to walk. Each year, in memory of Fabjan Furlan, the Mountaineering Association also organizes a mountain running race to Nanos. This event takes place on the second Sunday in October. People who join this race run 5.7km, from Podnanos to the hunting lodge, climbing 700m in altitude.